Smart phones have been blamed for all but killing off the budget compact digital camera. Fujifilm recently announced that they are to cull 50% of their compact cameras with the aim of hitting the black again by 31st March 2014 in the camera division. Olympus have made similar announcements, and Nikon have recently announced their new high-end Coolpix 16MP compact camera, as they focus their attentions away from the budget end of the spectrum. Pentax however are flying against the wind by announcing plans to launch a new budget compact camera. At £79.99, the new Pentax Efina is priced to sell, yet it incorporates an impressive array of features at its modest price tag. Besides its 14MP sensor, it will boast of a 5X zoom lens, an HD movie function and a 2.5 inch LCD viewfinder. 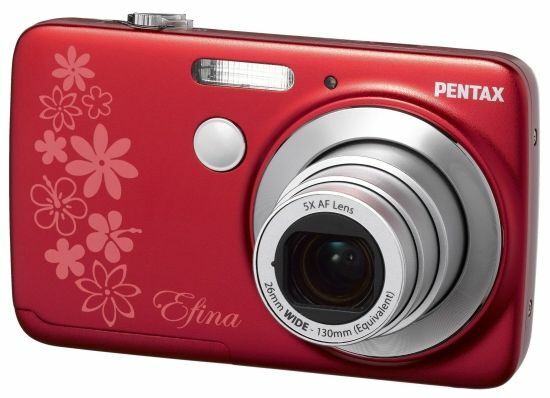 Its small size is intended to make it handbag friendly, and Pentax’s aim is to create a camera which people will want to carry around with them day-to-day. The camera will have a mobile phone style rechargeable battery and will carry 16 shooting modes. Seemingly Pentax have gone out of their way to make the camera look like a phone, and with its phone like battery, it will also behave a bit like one. It’s fascinating that a brand as clued up as Pentax see mileage in this market, especially considering the speed of which that their rivals are withdrawing. Previous articleHas Google just killed the password?